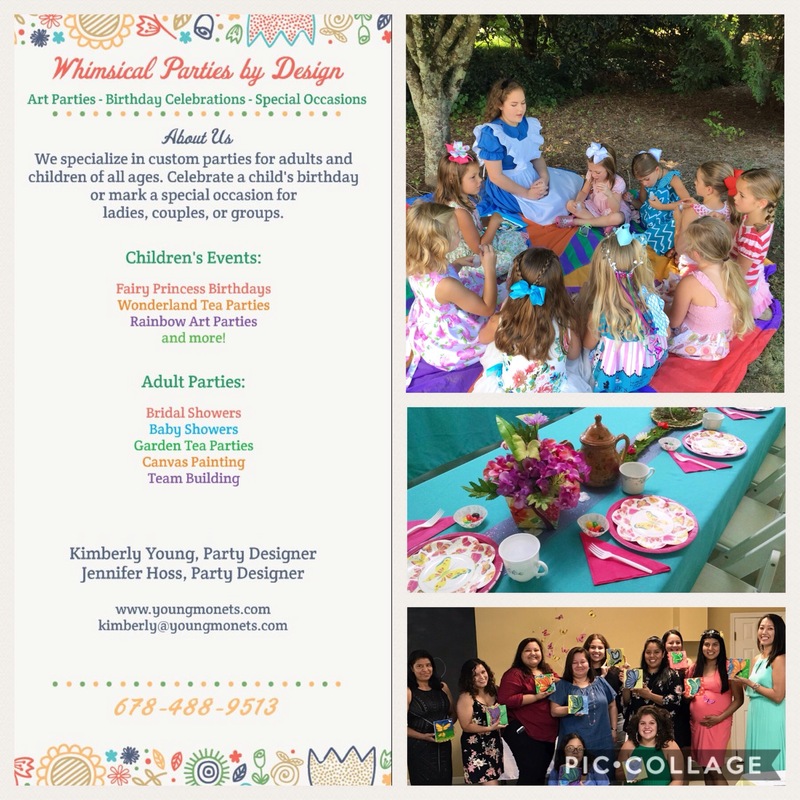 Whimsical Parties by Design: Host your next birthday party, baby shower, bridal shower or corporate event in the Carriage House at Smith-Gilbert Gardens. Choose from a variety of themes including fairy princess, vintage garden setting, painting events or create one of your own! Contact Kimberly at 678-488-9513 to plan your special event today!